A sci-fi thriller, Beyond the Farthest Star tells of a World War II fighter pilot who is shot down in battle and propelled across the vast reaches of space to an unimaginably distant solar system, where he awakens on the strange world of Poloda. Tangor was the name the people of Poloda gave him. His American name he preferred not to reveal, for his family on Earth thought him dead, a hero shot down while battling Nazi warplanes over Europe. But Tangor was not dead. 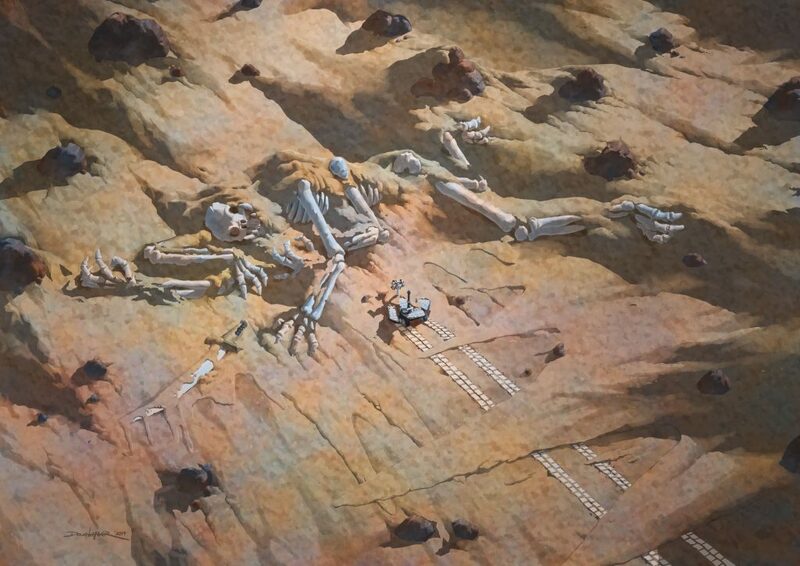 Instead, like John Carter, he found himself on the surface of another world—not Mars, but a far-flung planet inhabited by strange beasts, alien peoples, and an advanced martial civilization beset by treacherous political intrigue and ceaseless warfare. On Poloda, Tangor faces the greatest challenge of his life, for there, as on Earth, war is so vast, so entrenched, that it has become a way of life. And unless Tangor can find a way to infiltrate his adopted people’s hateful enemy and steal the plans for their latest military innovation, Poloda will be only the first world of the Omos System to fall to its doom..
Edgar Rice Burroughs wrote Beyond the Farthest Star in 1940 while he was living in Honolulu, shortly before he witnessed the attack on Pearl Harbor. Following America’s entry into the war, Burroughs became the nation’s oldest war correspondent, reporting from the Pacific Theater. 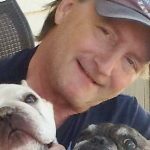 Michael Tierney has over 1,000 published works of fiction and non-fiction. His most notable non-fiction work was the highly-acclaimed Edgar Rice Burroughs 100 Year Art Chronology. The fiction work he is best known for is his long-running science fiction opera: Wild Stars – which consists of novels, portfolios, and comic books. 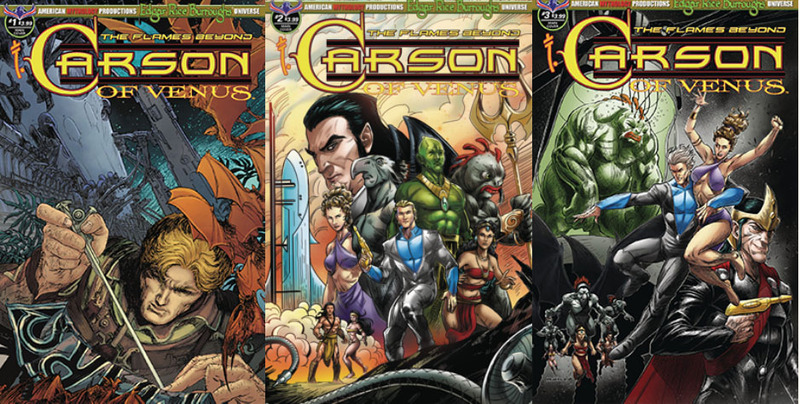 One of those comics he not only wrote, penciled, inked, and lettered, but also printed in his garage. It was the first comic to be foil stamped and have a die-cut cover, and remains the only comic to ever have a die-cut back cover. 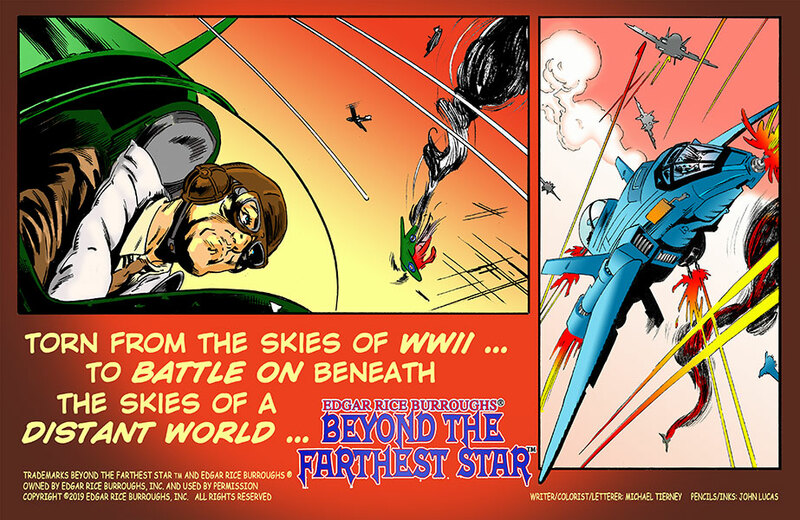 With Beyond the Farthest Star he accomplishes a personal first. This is his debut as a colorist. 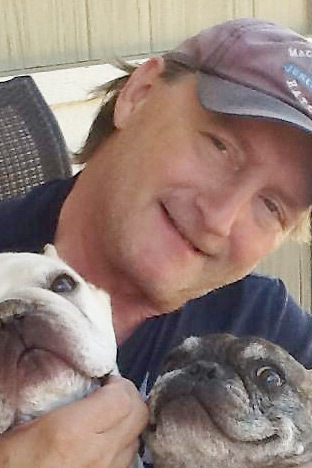 Michael also serves on the City Council where he lives and has been known to wear a mask while traveling abroad – as a master certified scuba diver who hunts sharks with a camera. Michael’s mother, Mary Tierney, created the portrait (at left) of Michael as a child. John Lucas is made entirely of popcorn and Caro syrup. It defies biology and common sense and has baffled the great minds of our times. Sadly, the judgements of such big-brained muckity-mucks come at no small cost. So, John must toil away for the few odd coins a cartoonist’s life will afford, that he may remain free of the chains of the debtors prison. 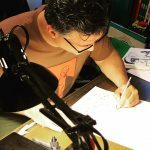 John’s work has appeared in funny books published by D.C./Vertigo, Marvel, MAD Magazine, Darkhorse, AdHouse, Image, Top Cow, Insight, 1First and BOOM!. If you don’t believe it, look it up. 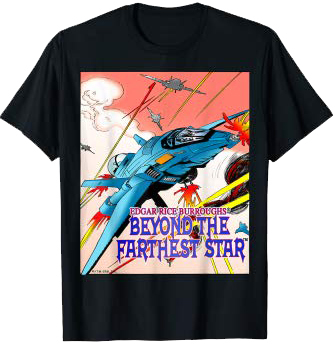 Beyond The Farthest Star Tees [2 designs] can be found here and here. 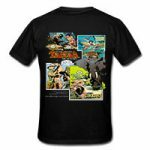 Other tees featuring your favorite Edgar Rice Burroughs character from Tarzan® to Korak to John Carter of Mars to The Lad and the Lion to Carson of Venus and many more are available in our online store. Images are from our Comic Strip Subscription stories which are created by well known writers and artists. See our ERB store for all the Edgar Rice Burroughs® Comic Strip TEES. Also you can visit our Amazon Store for tees and additional items such as sweatshirts and new Tee designs. 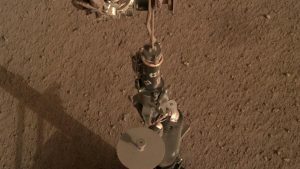 NASA’s newest Mars lander has started digging into the red planet, but hit a few snags, scientists said Friday. 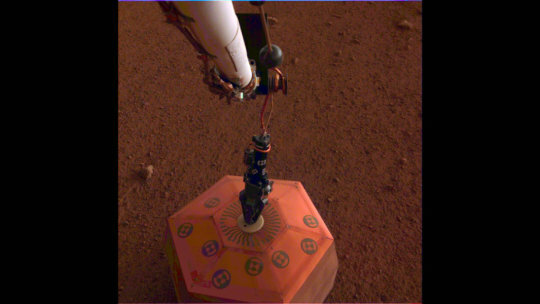 The German drilling instrument on the InSight lander struck what appeared to be a couple of stones. 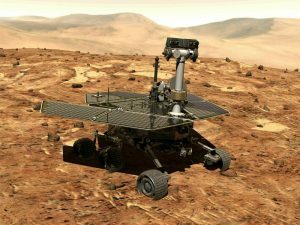 It only managed to burrow between half a foot (18 centimeters) and about 1 ½ feet (50 centimeters), far short of the first dig’s goal, said the German Aerospace Center. Read the Full Story at Associated Press. 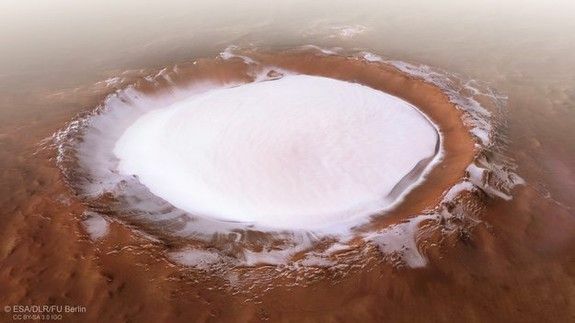 Korolev is an especially alluring sight, not just because it’s a well-preserved impact crater but because it’s loaded with ice over a mile deep year round. Before Tarzan… there was Norman of Torn. His origin cloaked in mystery, he is misguided by an evil force… all the while building the most powerful army in England. Norman’s story begins in 1243, during the power struggle between King Henry III and the KIng’s brother-in-law, Simon de Montfort, Earl of Leicester. At 17, Norman of Torn was the Greatest Swordsman in England, at 18 he had a large bounty on his head, and at 19 he was the leader of the most powerful and ruthless army in the land. And, the outlaw Norman of Torn becomes the most feared warrior of all England. Raised and taught by the French fencing master, Jules de Vac, Norman was trained to be a simple, brutal, English-hating, killing machine. The only influence over him, besides de Vac, is a Priest who taught Norman his letters and chivalry towards women. But, the Priest was found mysteriously murdered in his cottage. In another guise, that of Roger de Conde, Norman becomes involved with de Montfort’s daughter, Bertrade, defending her against her and her father’s enemies. She notes in him a curious resemblance to the English King’s son and heir, Prince Edward. As Norman begins to sense his true origins, de Vac turns against Norman, costing de Vac his life. 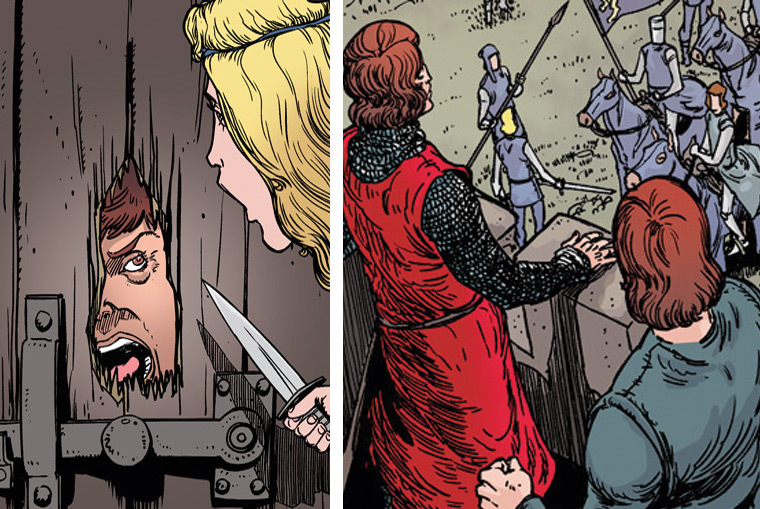 The fencing master had kidnapped Norman as a child to serve as the vehicle of vengeance against the King. As de Vac dies, he reveals Norman’s true origins. With his identity known, can Norman still be sure of winning the hand of Bertrade, daughter of Simon de Montfort, the King’s mortal enemy? 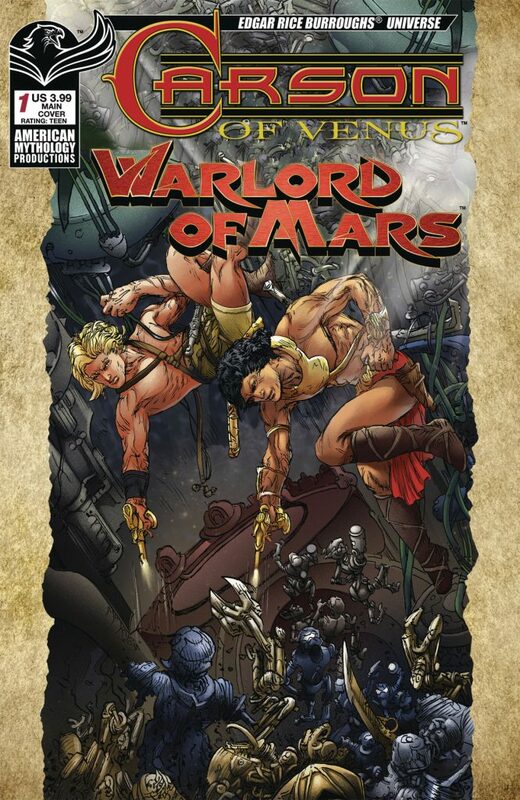 Perhaps it is fitting, then, that Simmons was given the opportunity to adapt ERB’s two historical novels, The Outlaw of Torn and I Am a Barbarian, into online strip format. 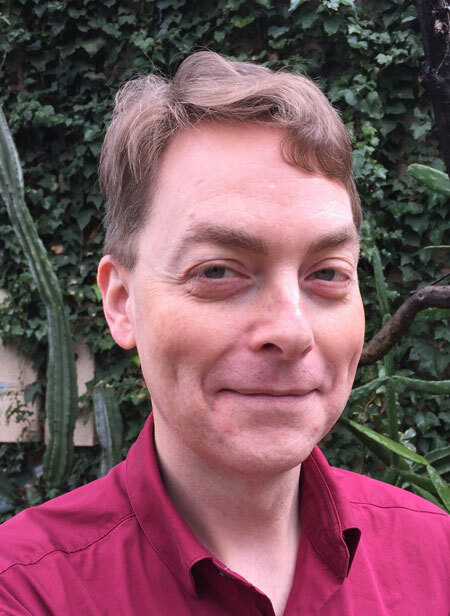 The writer has a History degree, and his other material is in large part of that genre: in 2015 he adapted his screenplay Crispus Caesar about the 4th century struggle between paganism and Christianity into a graphic novel, and a year later he completed a spec script entitled Darling Eddy on the final horrific days of Edgar Allan Poe. Also on his writing desk are screen adaptations of Gore Vidal’s novel Julian about the so-called “apostate” Roman emperor and Richard Slotkin’s stark Civil War novel The Crater. Tom was nominated in five categories at the Action on Film (AOF) festival in 2010. 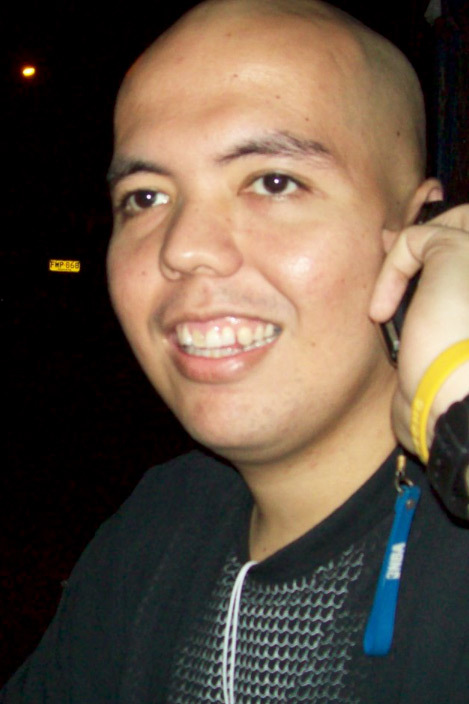 Jake Bilbao is a Filipino Comic Book Artist. 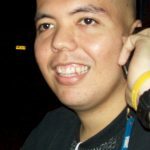 He has worked on Wolverine for Marvel Comics,Pathfinder for Dynamite Entertainment, Bloodrayne for Digitalwebbing Presents, and other Indie Comics. 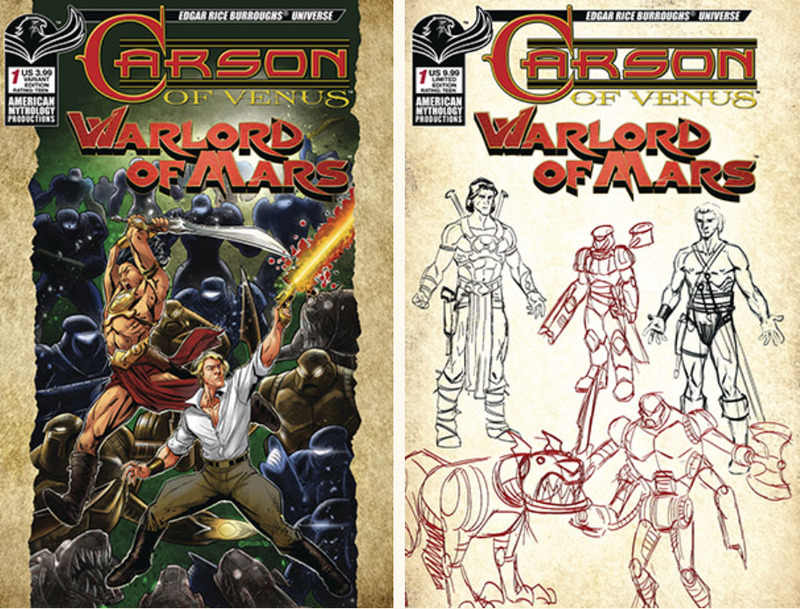 Jake is now working with Tom Simmons and L. Jamal Walton to make The Outlaw of Torn novel by Edgar Rice Burroughs into a comic strip format. The Simmons/Bilbao/Walton team published a graphic novel set in the Age of Constantine calledCrispus Caesar (see Simmons bio). 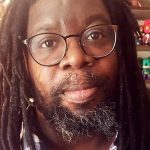 L Jamal Walton is a web and graphic designer by day, and an illustrator, colorist and letterer by night. 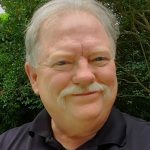 He is currently living in Durham, NC and enjoys working on all types of projects, but he especially likes working on projects that involve coloring and lettering. 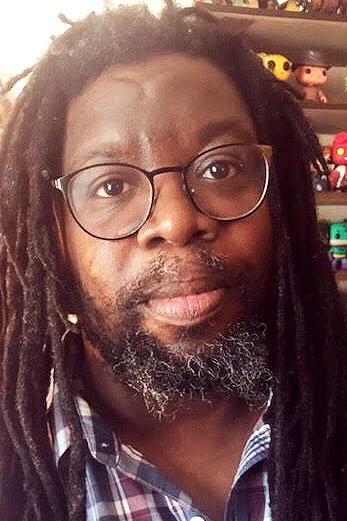 Most recently, Jamal has been focusing more of his time working on his own comic creations:Warmageddon; Ungoodwise; and Captain Evil and Diabla. 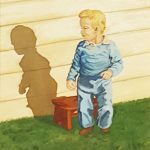 Jamal has also made the leap into the art world and has been displaying his work at various art exhibits, shows and conventions within the RTP (Raleigh, Durham, and Chapel Hill area of the state NC). 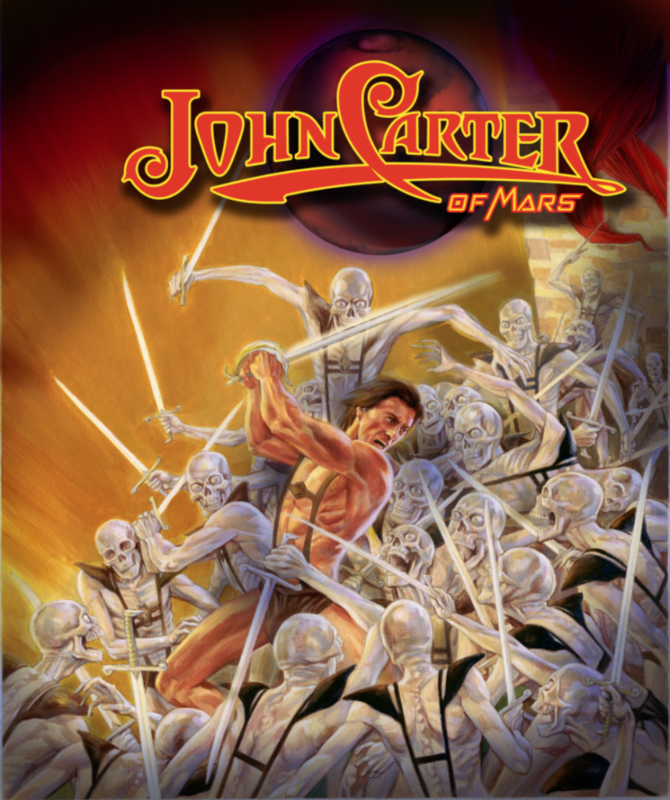 Edgar Rice Burroughs® / Tarzan® / Tarzan of the Apes™ / The New Adventures of Tarzan™ / Tarzan and Jane® / Lord of The Jungle® / John Carter® / John Carter of Mars® / John Carter Warlord of Mars® / Carson of Venus ™ / The Eternal Savage™ / The War Chief™ / The Cave Girl™ / Pellucidar™ / The Land that Time Forgot™ / The Mucker™ / The Monster Men™ / Korak The Killer™ / The Lost Continent™ / Jungle Girl™ / The Outlaw of Torn™ / The Girl from Hollywood™ / The Lad and the Lion™ / I Am A Barbarian™ / The Mad King™ / The Tarzan Twins™ / The Moon Men™ / The Girl From Farris’s™ / Pirate Blood™ / The Man-Eater™ / Inspector Muldoon™ / Beyond the Farthest Star™ – all owned by Edgar Rice Burroughs, Inc.